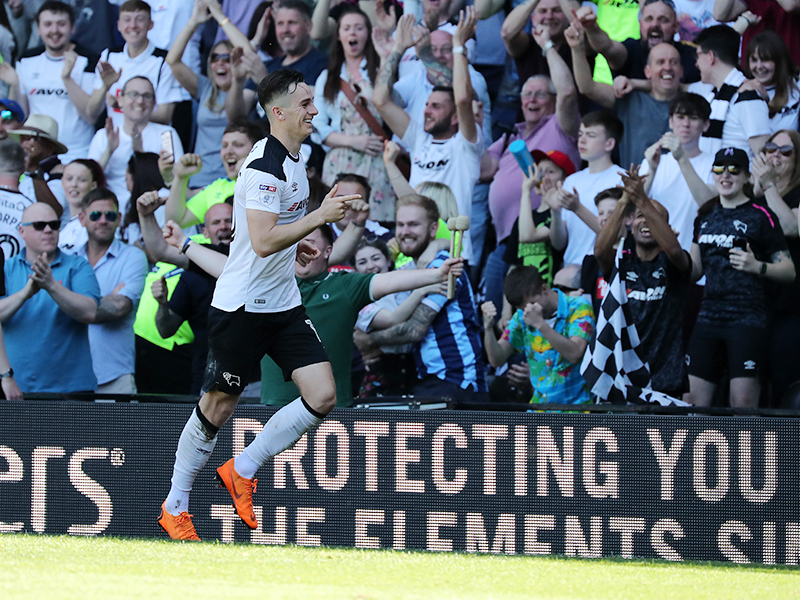 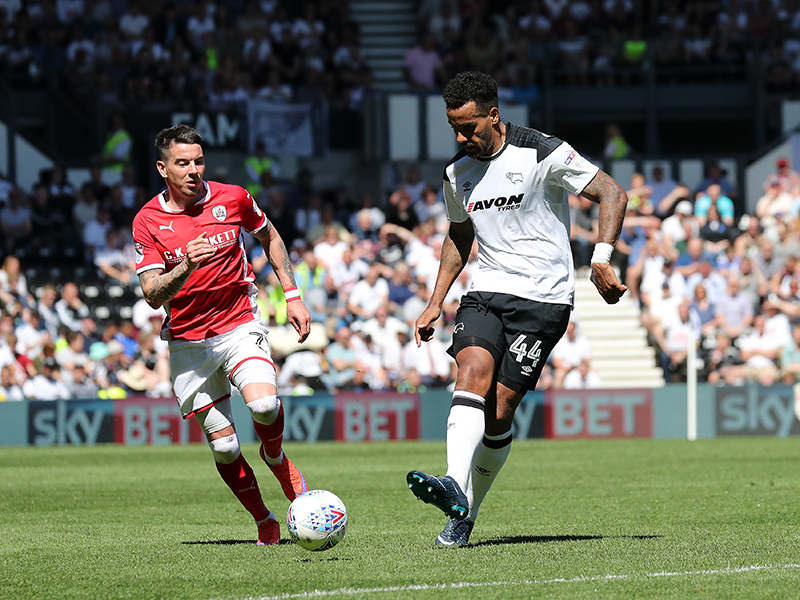 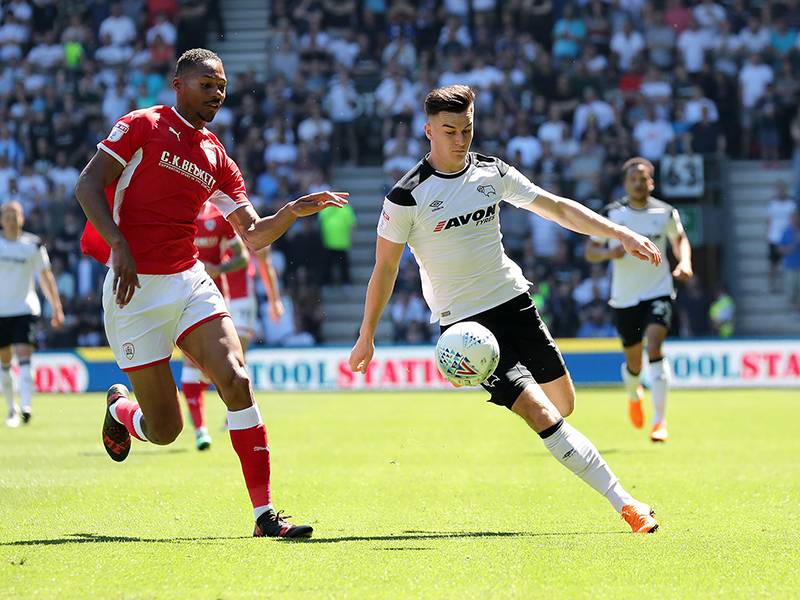 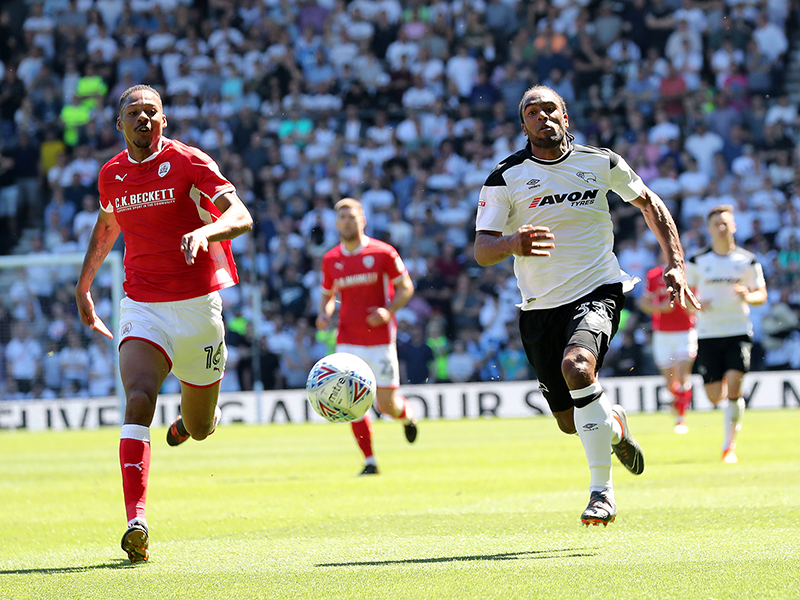 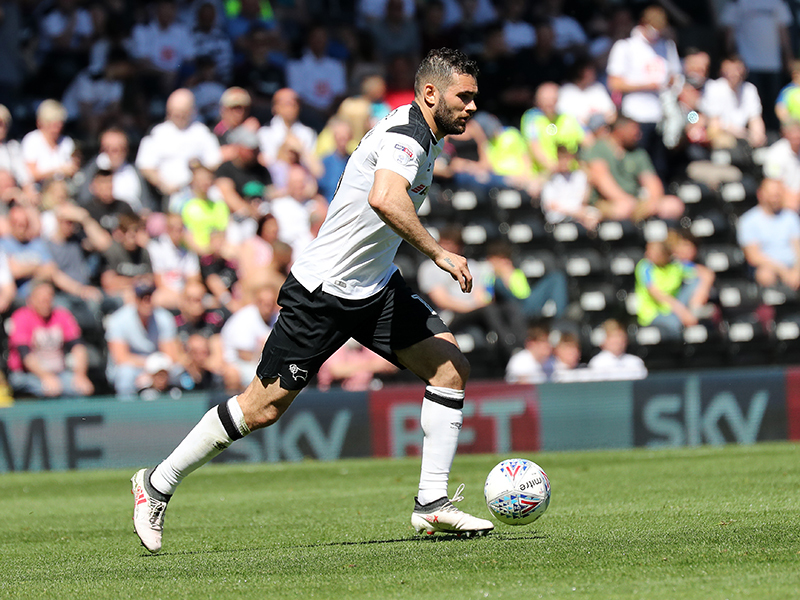 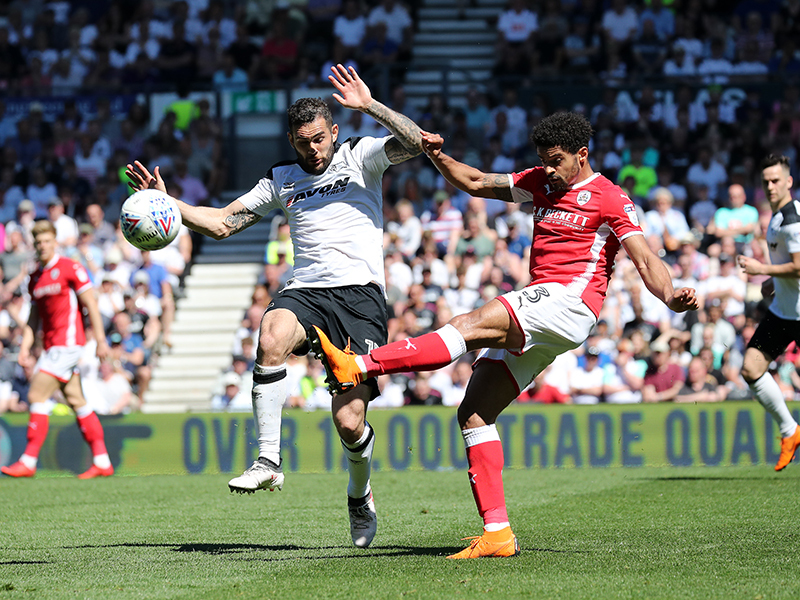 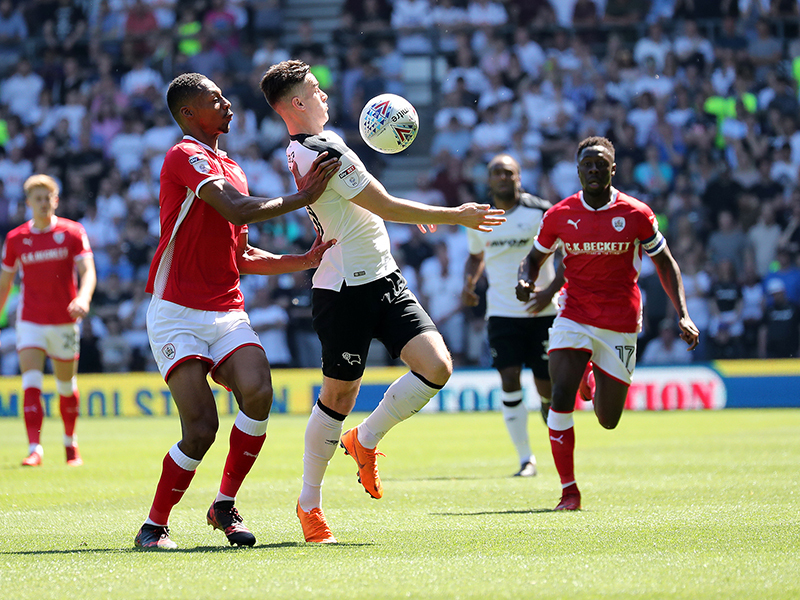 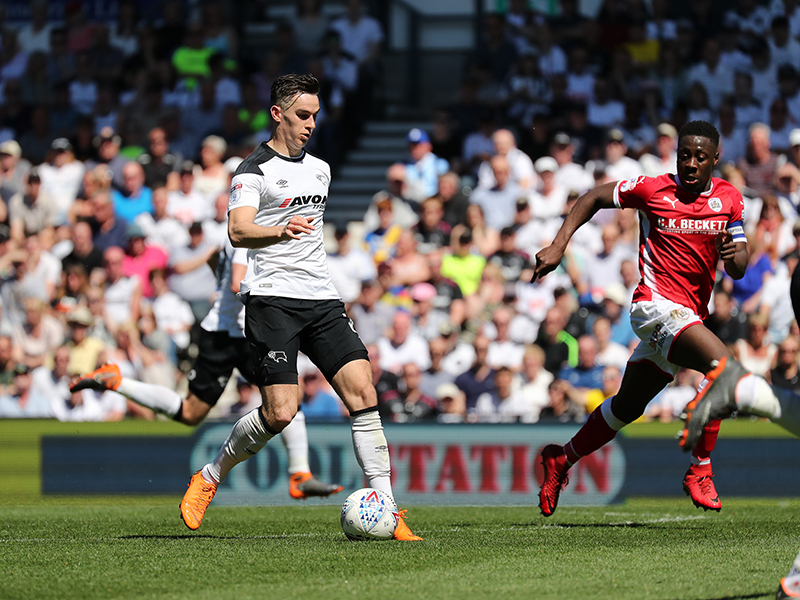 Derby County secured their place in the Sky Bet Championship play-offs with a stylish 4-1 victory against Barnsley at Pride Park Stadium. 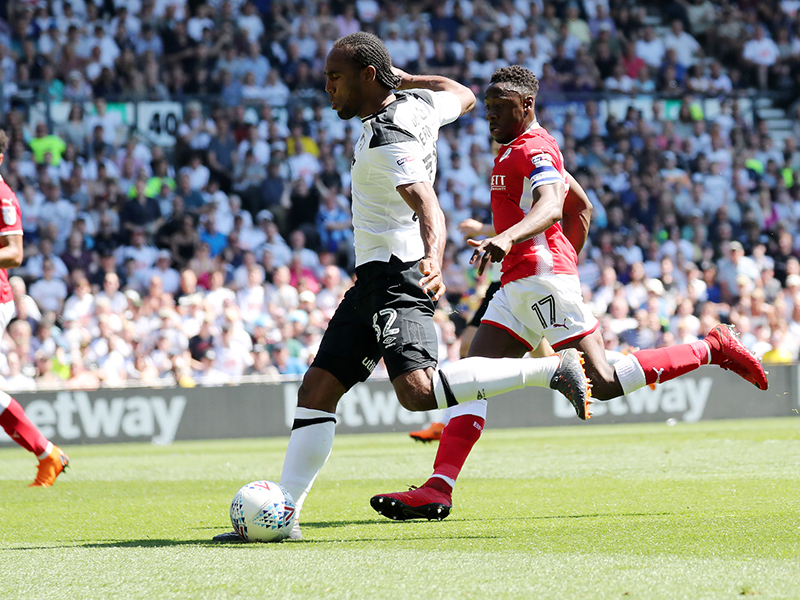 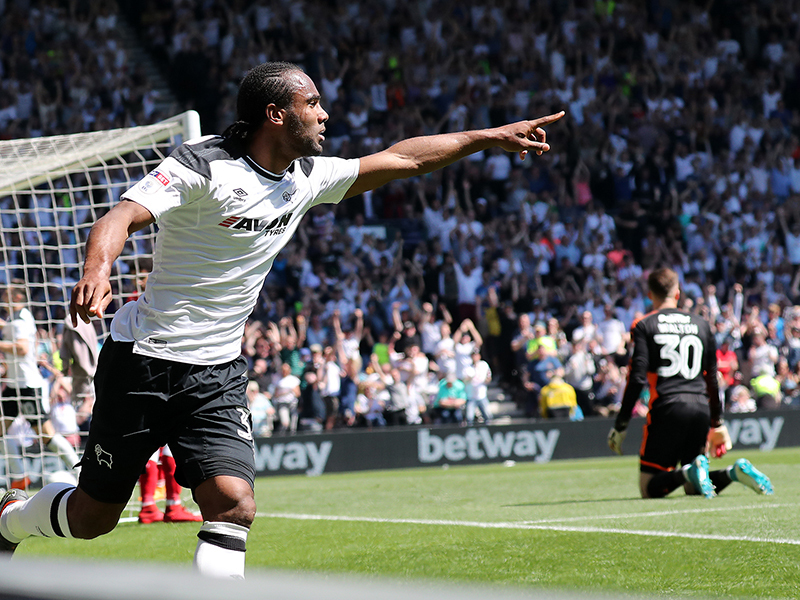 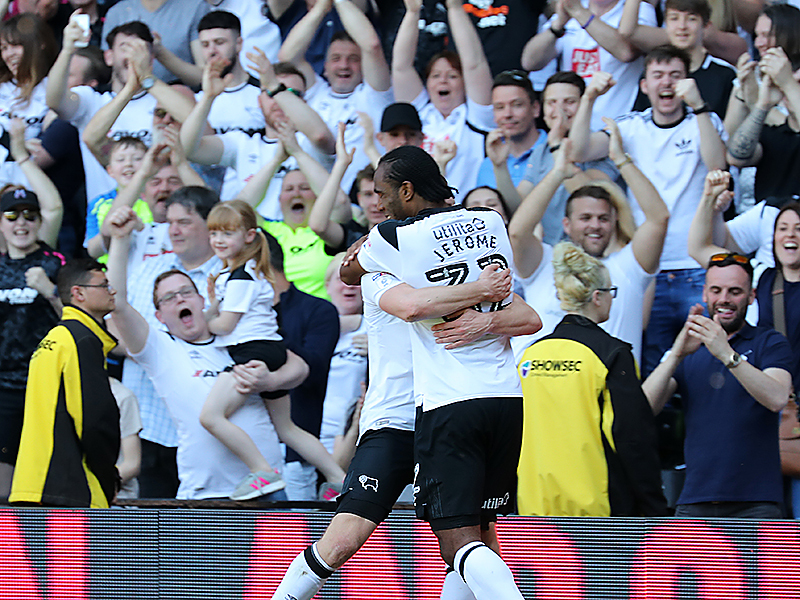 Cameron Jerome put the Rams in front after 14 minutes, before Matej Vydra, David Nugent and Tom Lawrence got the goals that a superb attacking display deserved in the second-half. 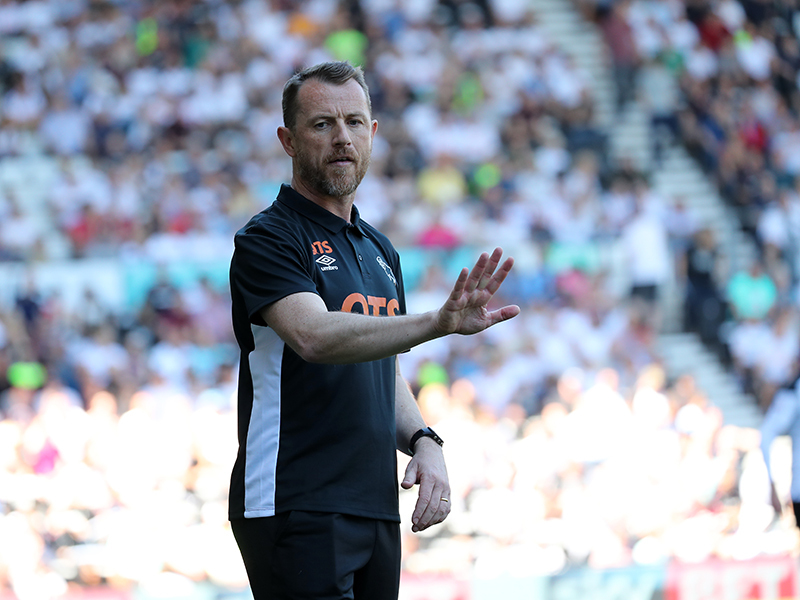 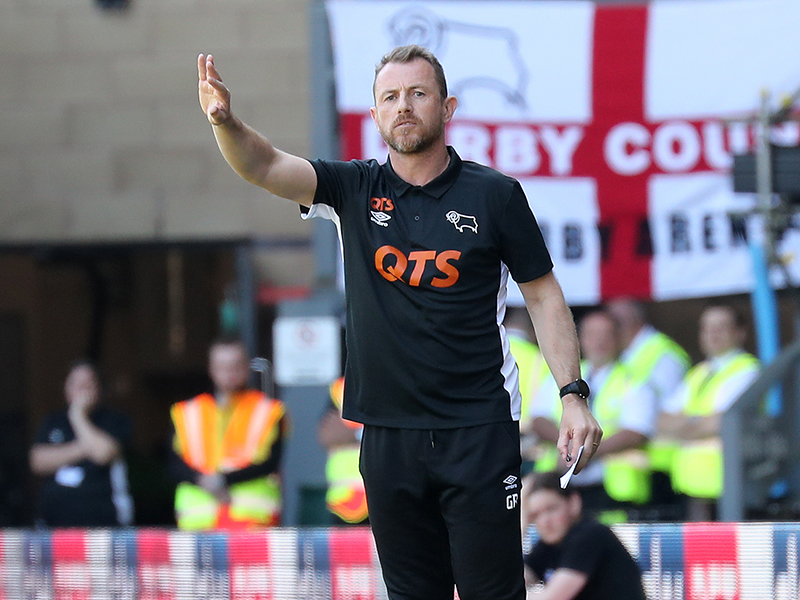 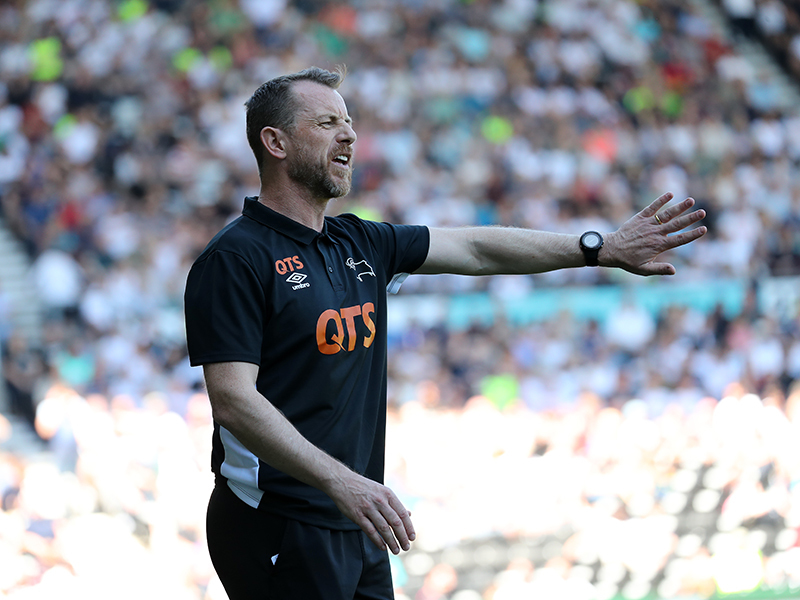 Gary Rowett's side will now face Fulham on Friday night in the play-off semi-final first leg. 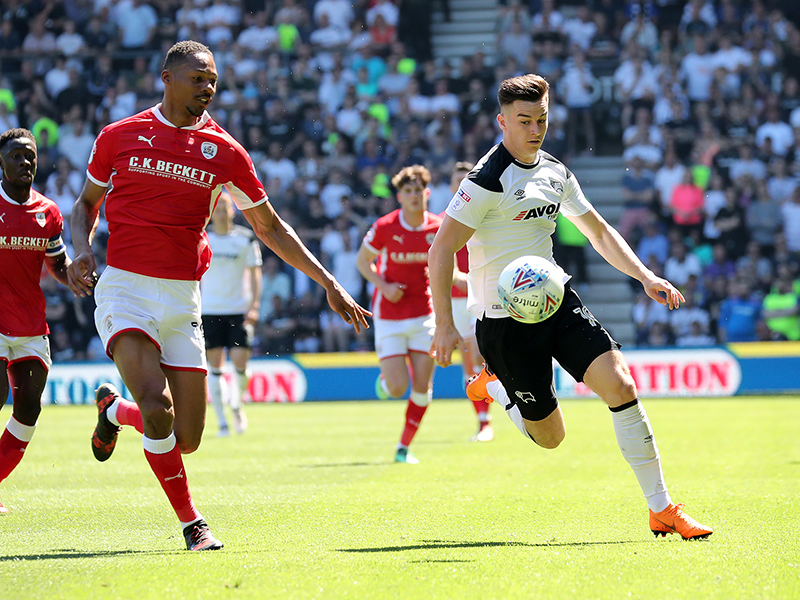 Barnsley on the other hand were relegated from the Championship. 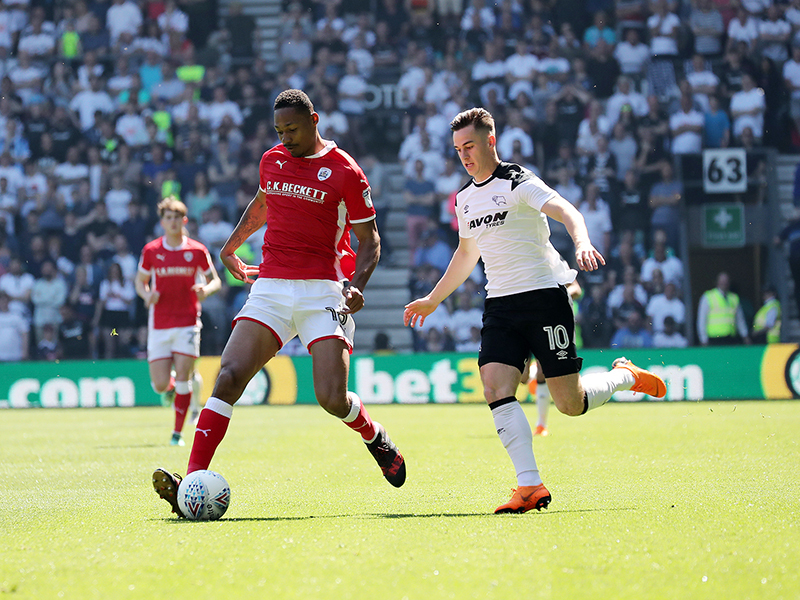 Marcus Olsson was recalled to the starting line-up and he tested Jack Walton with a fierce drive from range inside the first 10 minutes, before Andreas Weimann had an effort blocked after weaving through the Barnsley defence. 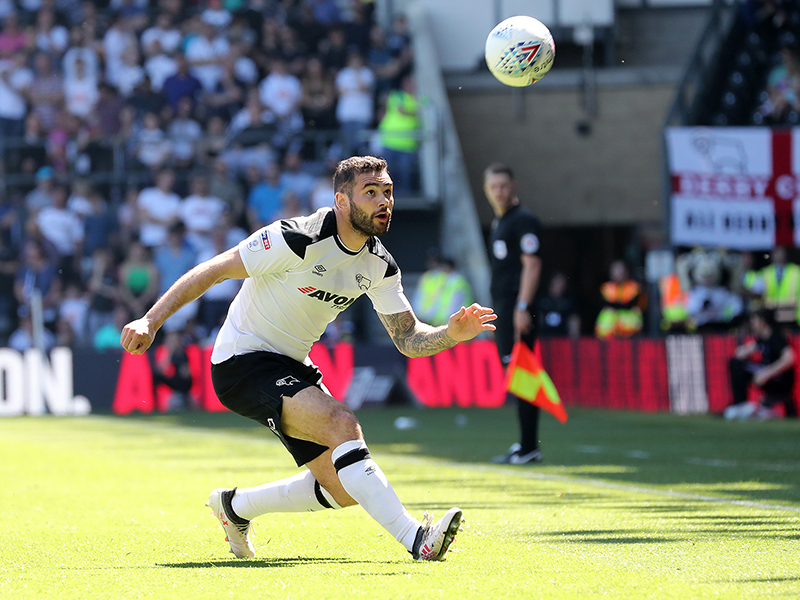 The breakthrough came on the quarter-hour mark, as Bradley Johnson played an inch-perfect ball down the line for Jerome to chase and the striker make no mistake as he fired high past Walton. 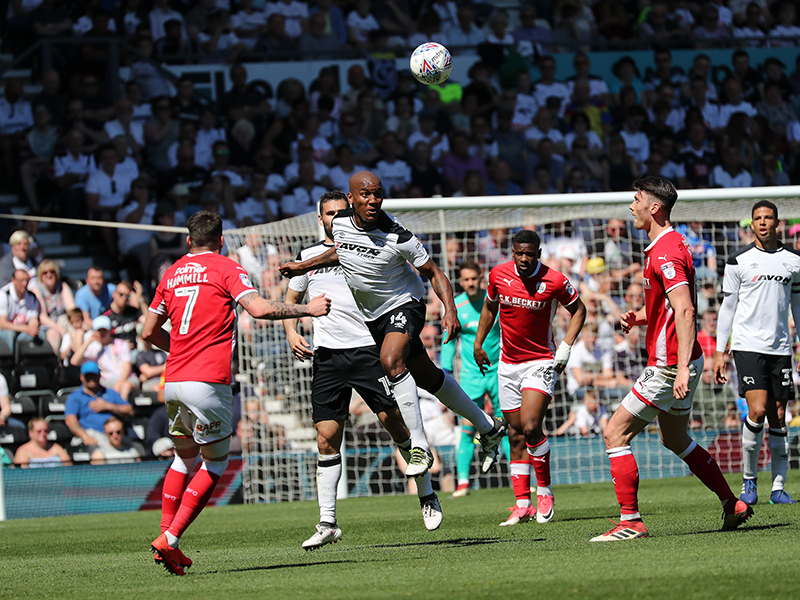 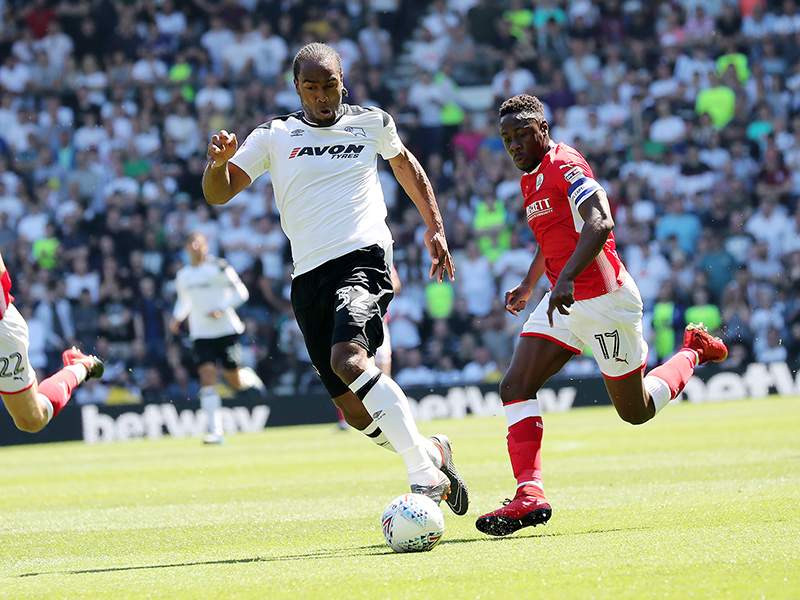 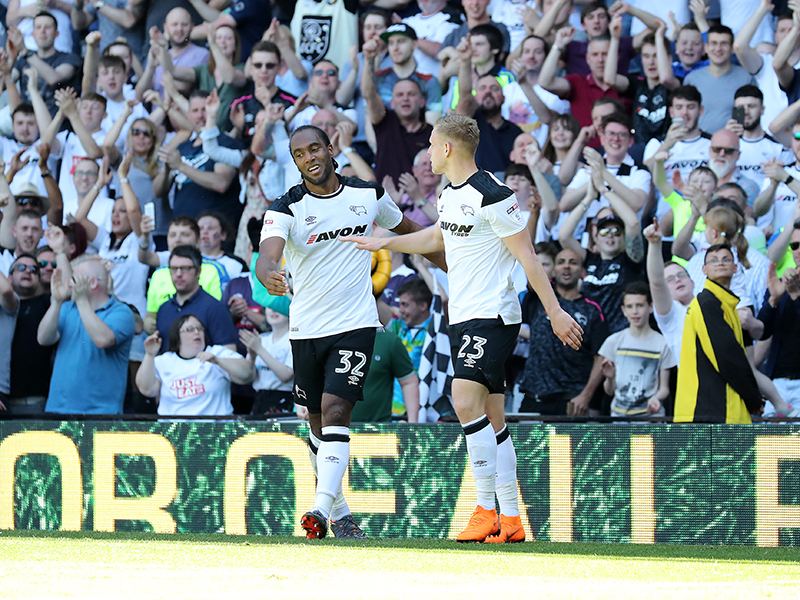 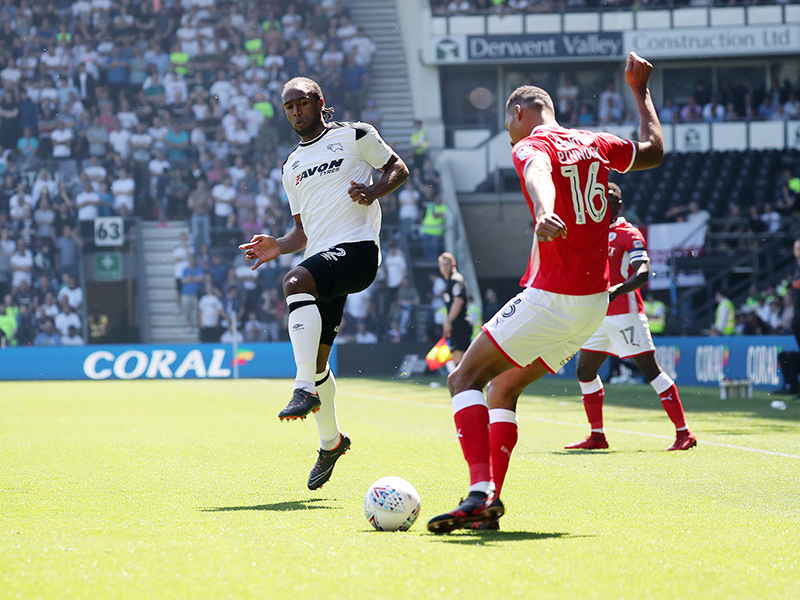 It could have been two midway through the half after a neat move featuring Andre Wisdom and Richard Keogh ended with the centre-back striking the bar, but after Jerome converted the rebound, the referee blew for handball. 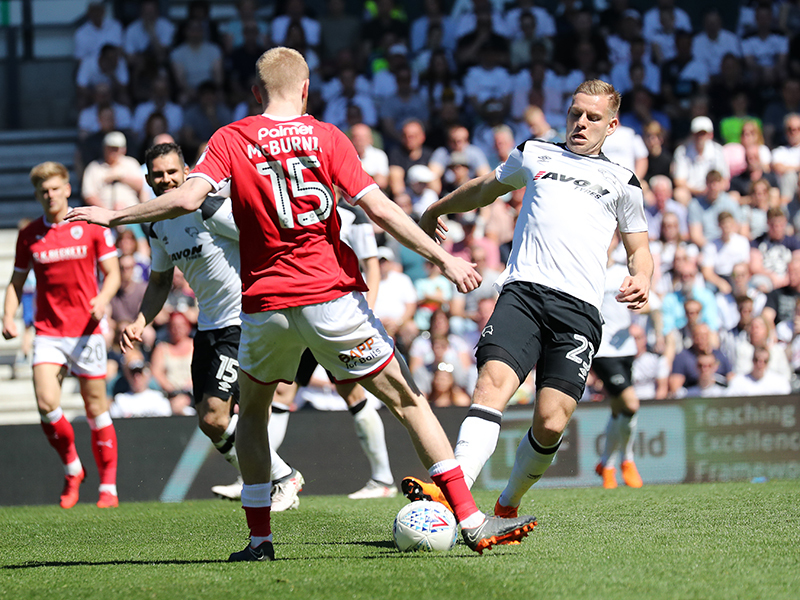 Chances were at a premium for the rest of the half, whilst Olsson was replaced by Vydra before the break after the wing-back suffered an injury. 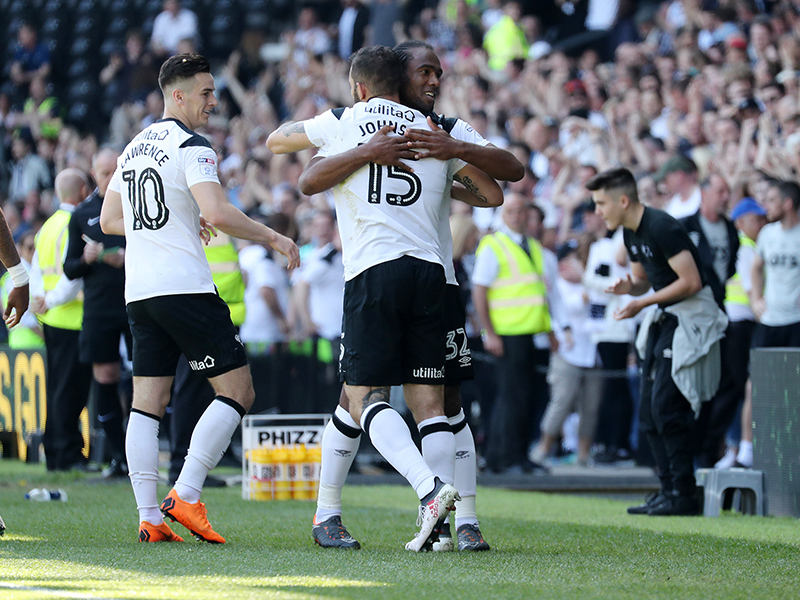 Johnson and Jerome continued to combine well in the second-half, with the former gliding forward on 53 minutes before laying the ball to the striker, but he dragged his shot wide. 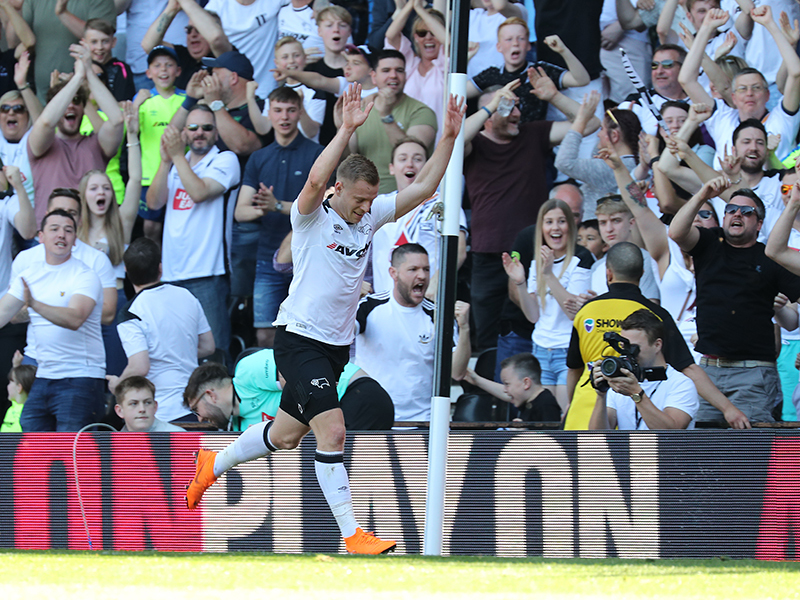 Derby’s No.32 was at the heart of everything and he set up Vydra for his 22rd goal of the season in all competitions this season just moments later, as he squared for a simple tap-in. 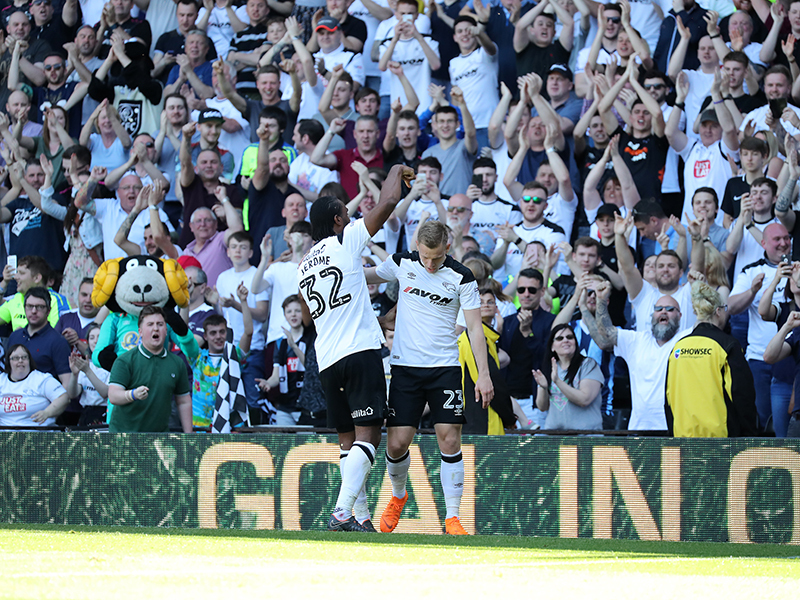 The Rams were starting to run riot and Nugent – off the bench – made it three after he headed in from Vydra’s cross, and it just continued to get better and better. 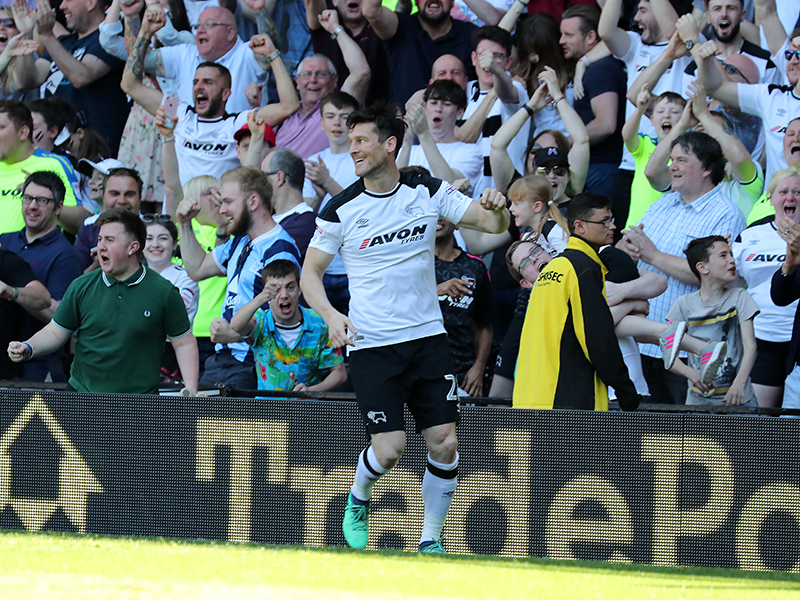 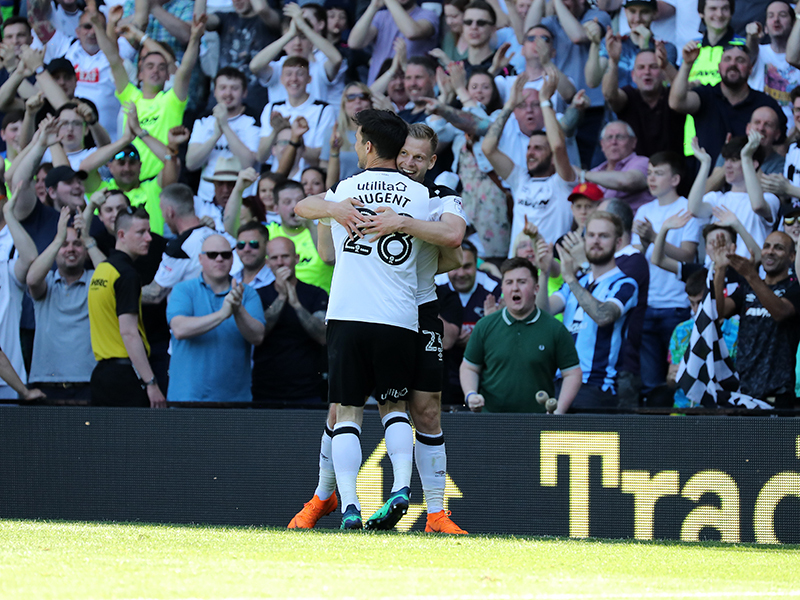 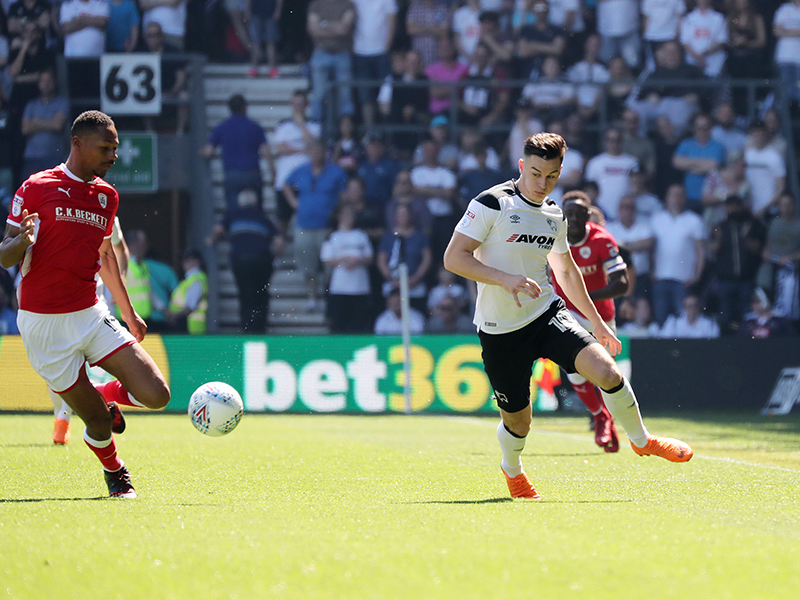 Nugent squared to find Lawrence with 18 minutes left and the Welshman was left with another tap-in to put Derby four goals ahead. 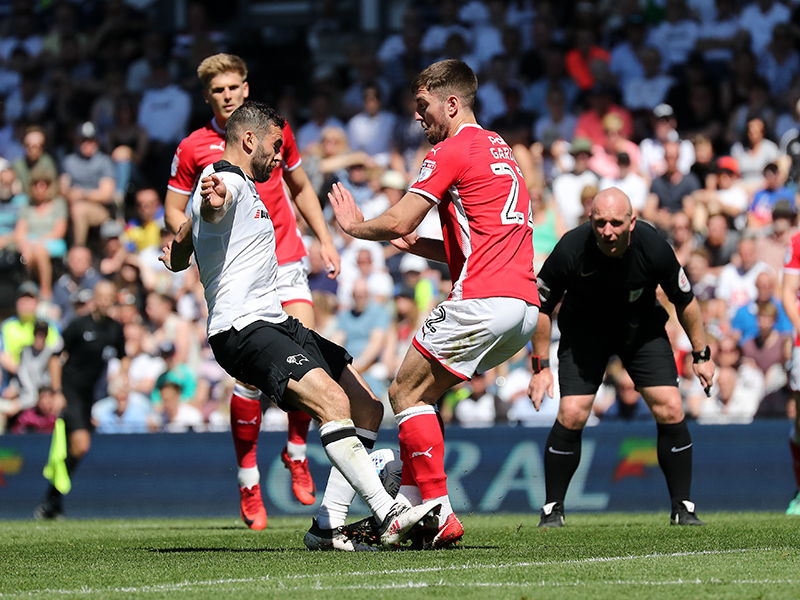 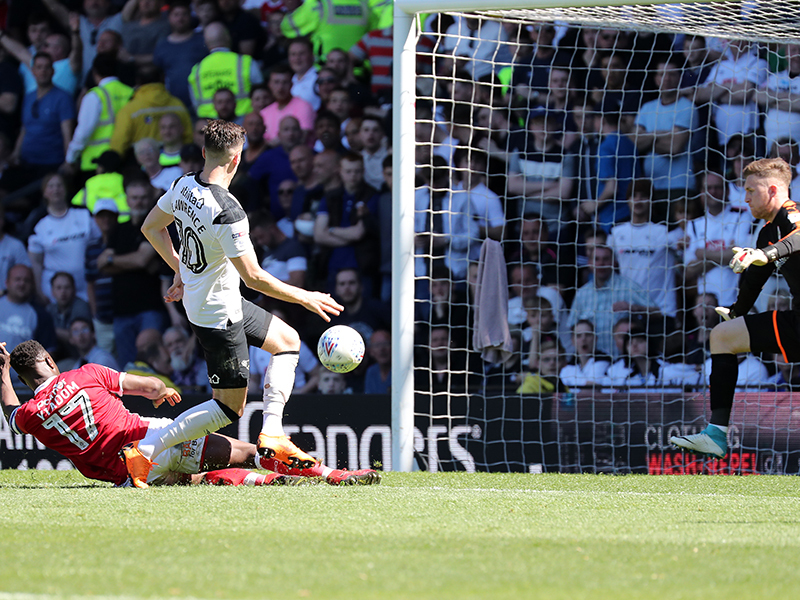 There was still time for the visitors to get one back, as substitute George Moncur curled a superb effort beyond Scott Carson from outside the box. 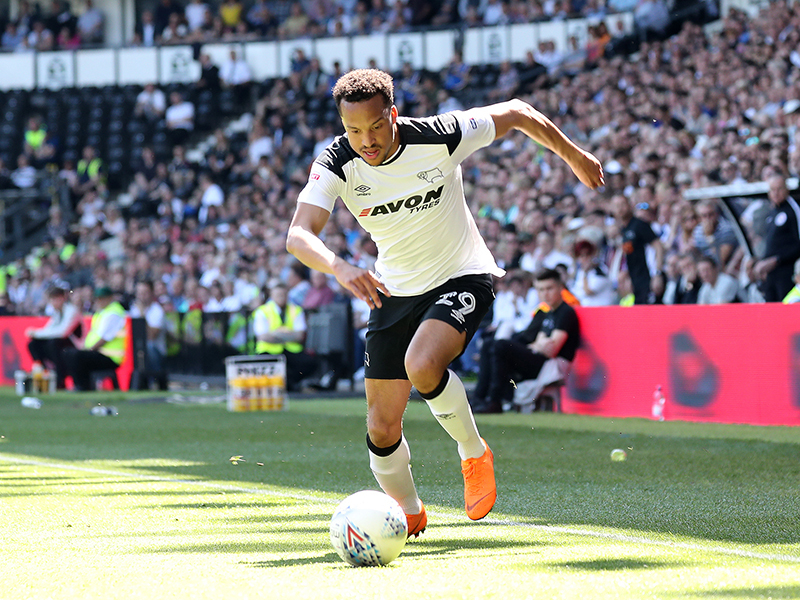 Derby County: Carson; Keogh, Davies, Forsyth; Wisdom, Huddlestone, Johnson, Olsson (Vydra, 38’); Weimann, Jerome (Nugent, 66’), Lawrence (Ledley, 87'). 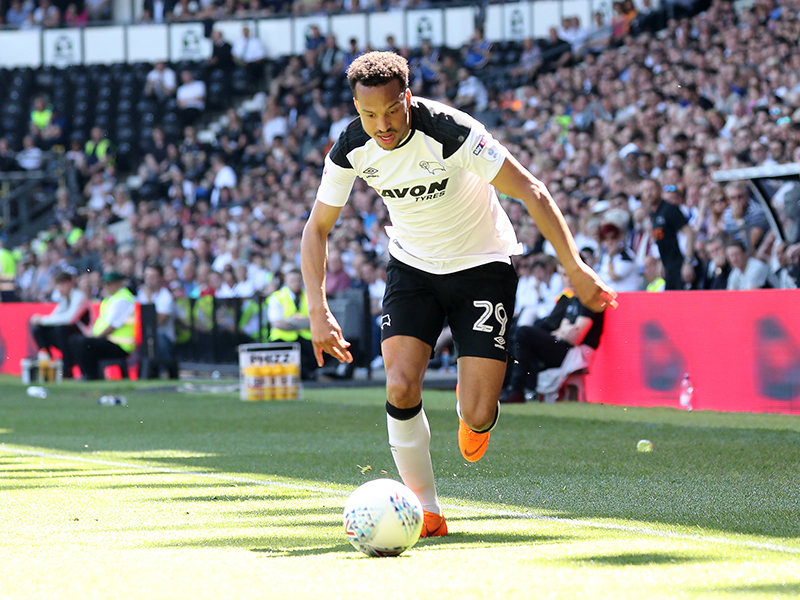 Substitutes not used: Roos, Palmer, Pearce, Hanson. 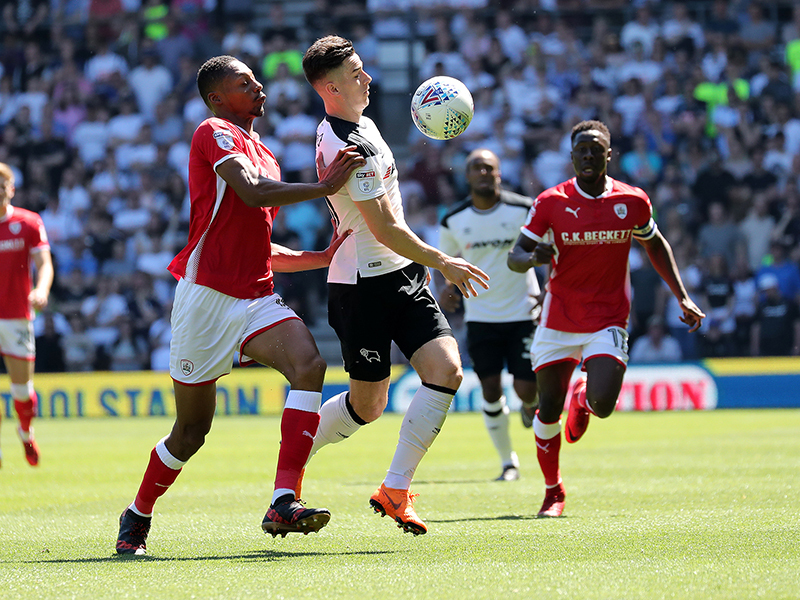 Barnsley: Walton; Yiadom, Pinnock, Lindsay, Fryers; Potts (Thiam, 61’), Gardner, Hammill; Mahoney (Moncur, 69’), McBurnie, Moore. 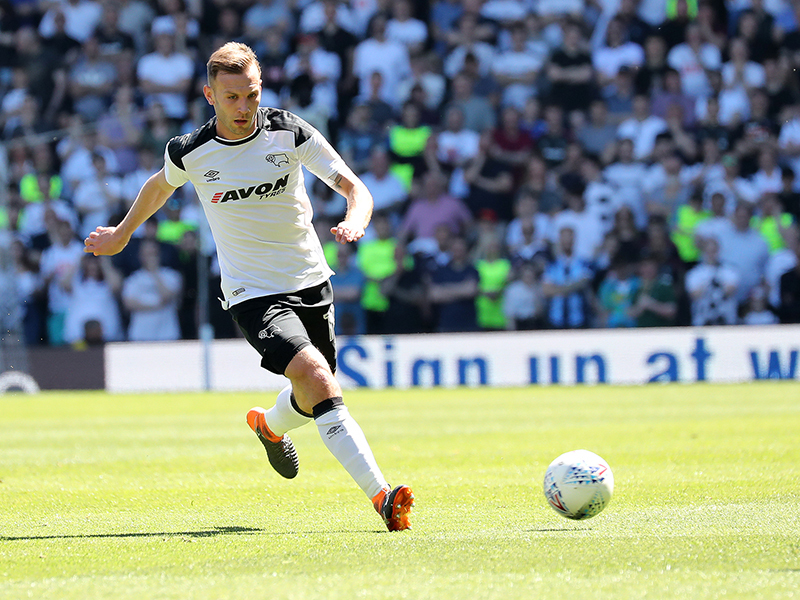 Substitutes not used: Davies, Bradshaw, Cavare, Mallan, Pearson. 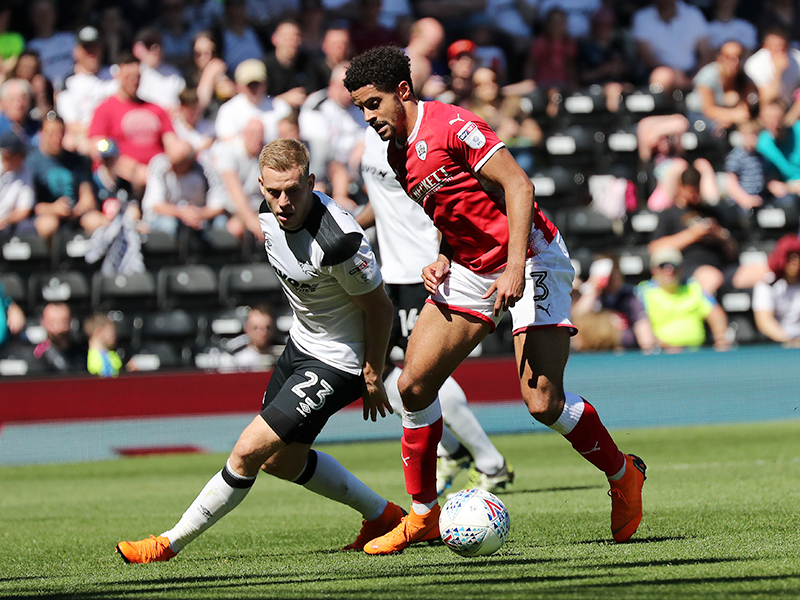 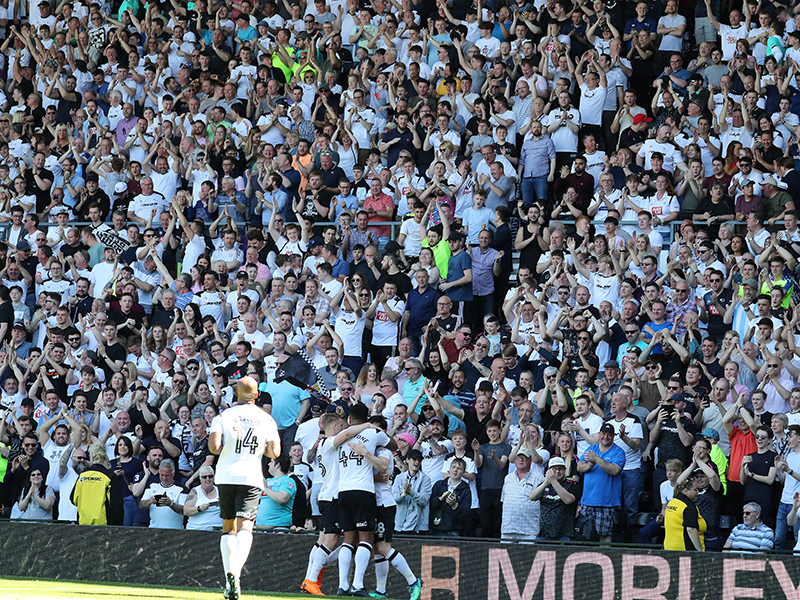 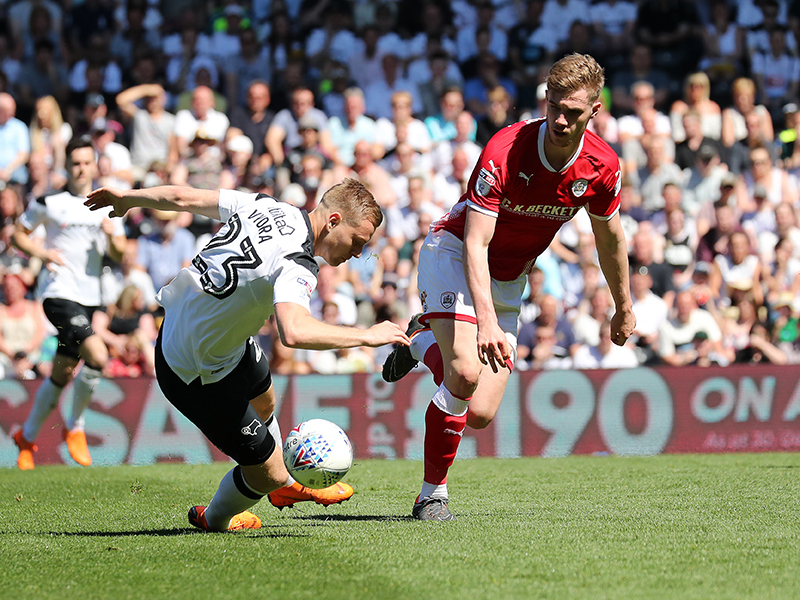 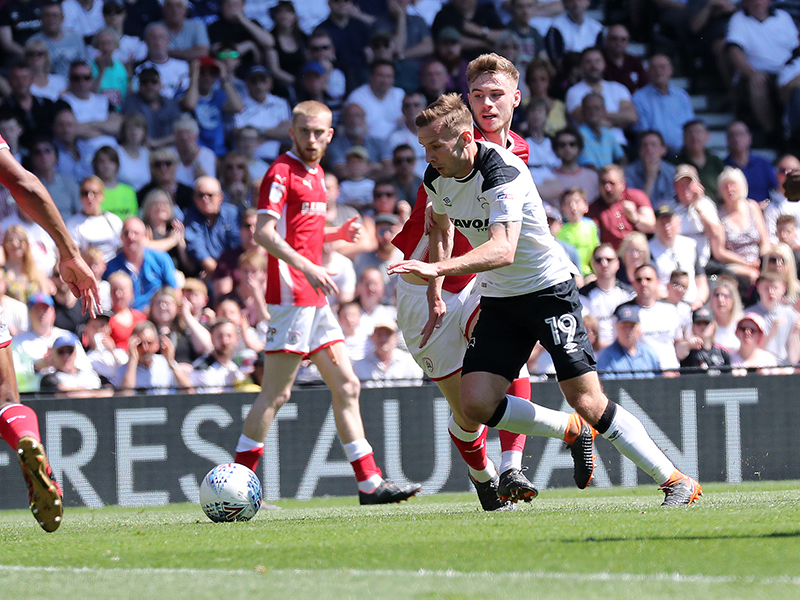 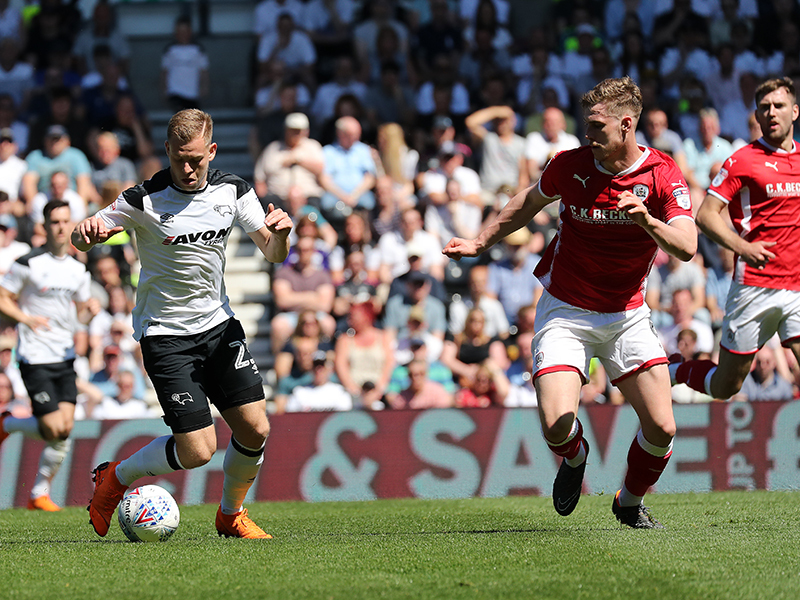 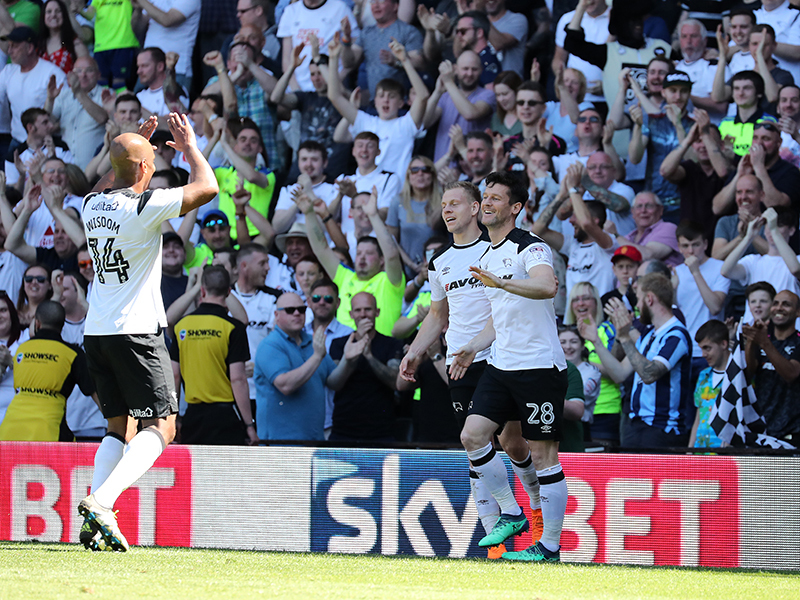 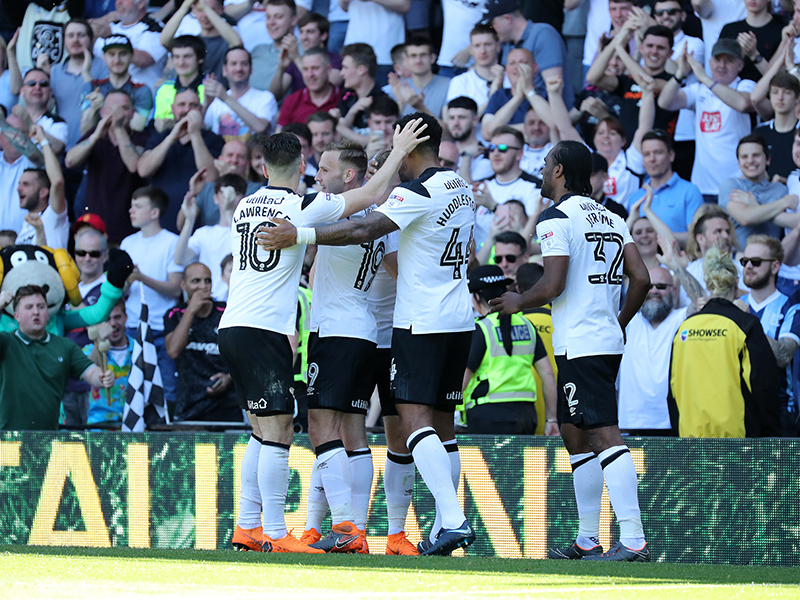 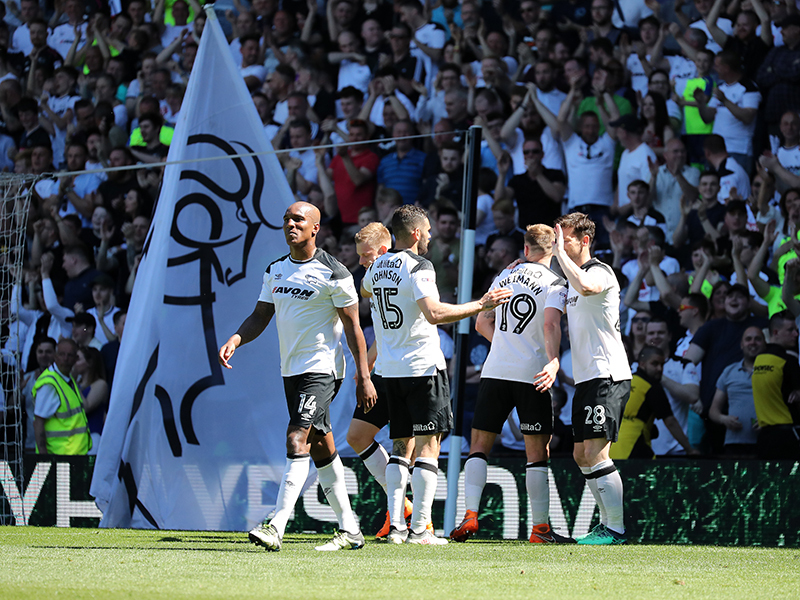 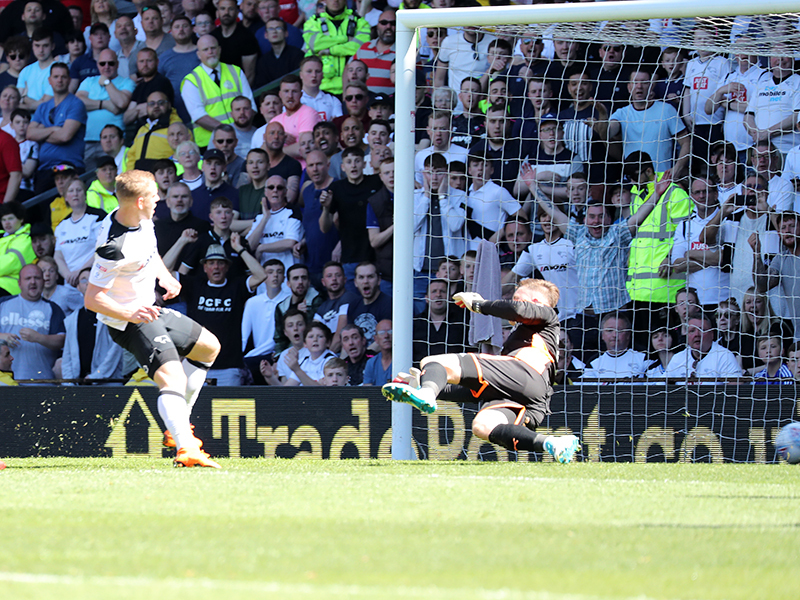 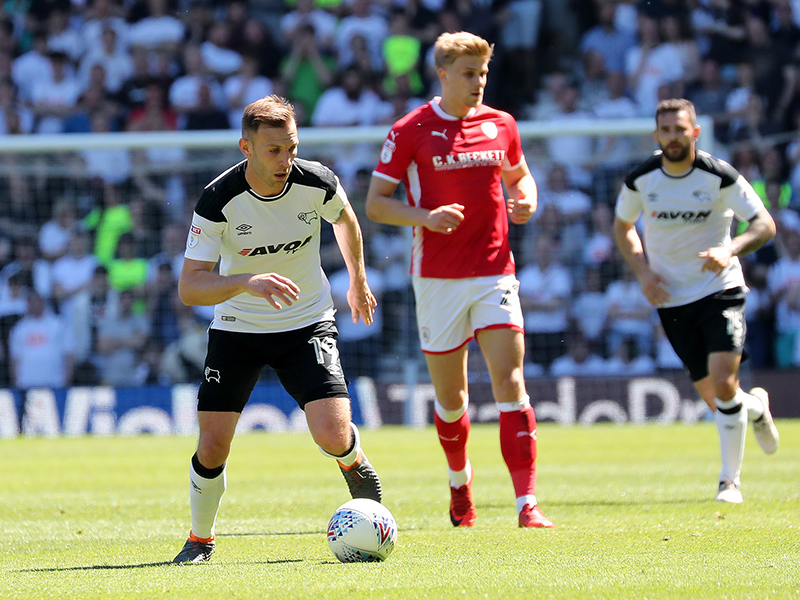 Vydra described the 2017/18 campaign as the best of his career earlier in the week and he reached another landmark at Pride Park this afternoon. 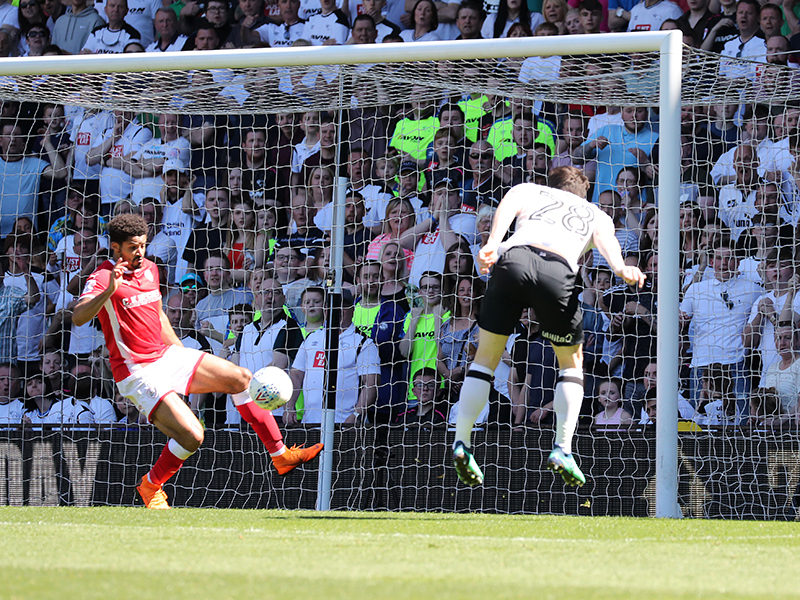 His goal here means that this is the best goalscoring season of his career, both in the league (21) and all competitions (22). 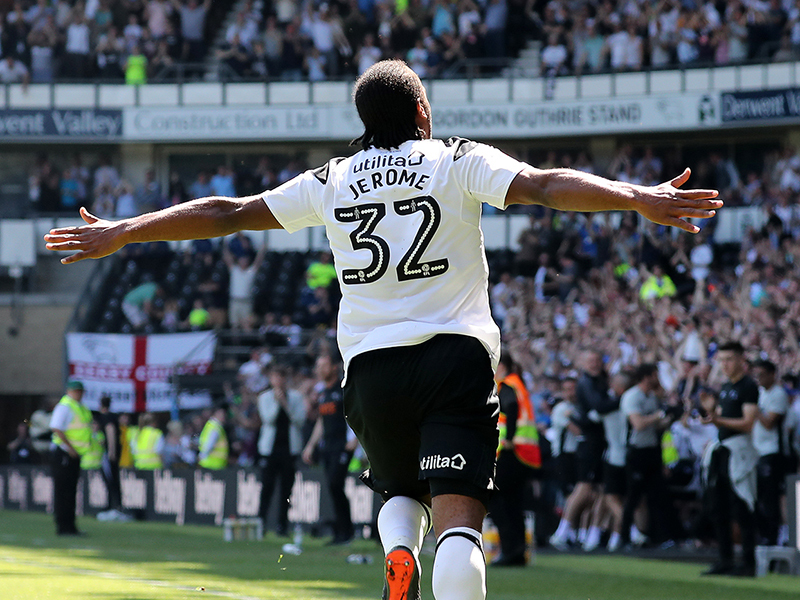 Jerome has been in unstoppable form in recent weeks and it was the same here, as he grabbed his fourth goal in three games. 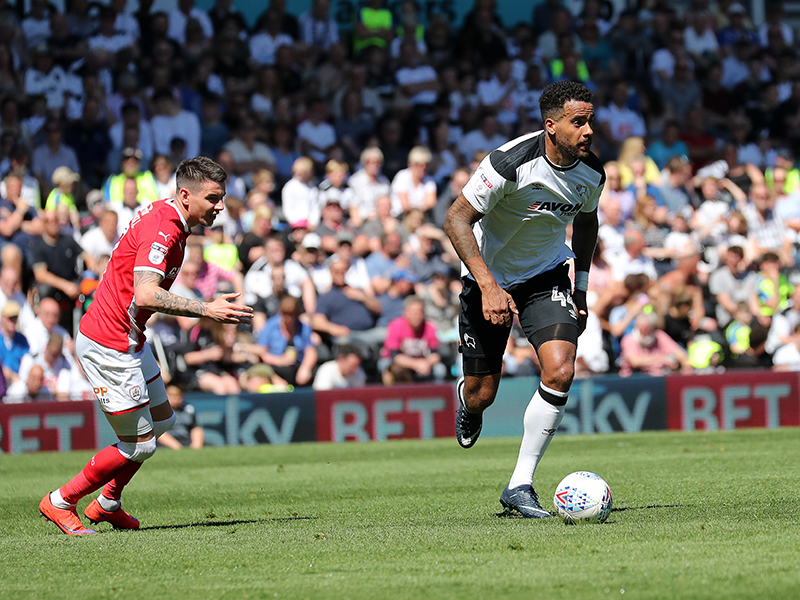 His former Norwich City teammate Johnson played the perfect through ball, and Jerome made absolutely no mistake when one-on-one with Walton to grab the opener, before he set up Vydra to take the game away from Barnsley in the second-half. 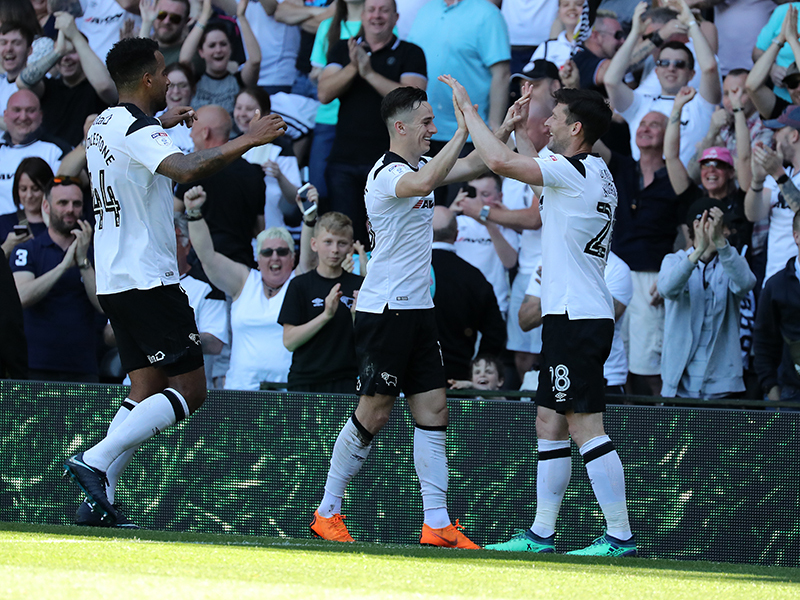 The Rams will face Fulham in the Championship play-off semi-final first leg on Friday night, kick-off: 7:45pm, before the return leg the following Monday.